Hey my lovelies! Today I have the pleasure to share with you all about author A. A. Bukhatir new book, Dragon Boy and the Witches of Galza. A classic fantasy adventure series for people of all ages! Besides telling you all about this fantastic new novel, I will be sharing an author interview with A.A. Bukhatir as well as a giveaway to win a print copy of your very own. Enjoy! In a tiny village nestled between a haunted forest and a magic mountain, lives an old woodcutter named Aijou. Shunned by the other villagers, he mourns the death of his cherished wife and spends his lonely days going about his work in nearly total isolation. He never dreams that in a flash his life will change completely, and that his courage and strength will be profoundly tested. It all begins innocently enough when Aijou loses his way in the enchanted forest. Desperately seeking the path back home, he suddenly encounters two tiny fairies engaged in battle with fire-breathing she-dragon. Against all odds, the fairies prevail and with its last breath, the dying dragon assumes her human form. She begs Aijou to adopt her baby boy. Aijou agrees not knowing that the infant is actually a dragon. From that moment on, Aijou¹s life will never be the same. Filled with determination, he tries to escape the haunted forest. But in order to return home, Aijou must obtain permission from the evil Witches of Galza. With two fairy guides, Aijou and the dragon baby set off to find the wicked sisters. When they finally meet, the Witches offer Aijou a terrible bargain and he must decide whether he will accept. How did the concept of Dragon Boy come into being? It was a combination of several factors. Since childhood, I loved the idea of wizards, sorcerers, witches, dragons, fairies, monsters, and the supernatural world. I also used to dream about being able to fly. I dreamed that I had large white wings and could fly across the continents. I was also fascinated by fantasy movies and their special effects. Somehow all of these elements combined and, one night, as I was driving with a friend, the idea of Dragon Boy came into my head. As this idea took shape, I knew I had to write it down and the book Dragon Boy And The Witches of Galza came into being. Why do you enjoy writing fantasy fiction? I liked using my imagination and longings from childhood, and constructing a world in which a boy can fly. Dragon Boy embodies my subconscious idea of being a dragon. Fantasy fiction has allowed me to create my own world, my own characters, and my own storyline. I pictured a special world in my mind, put it on paper, and now people everywhere can read and enjoy it. Why did you write a children’s book? Children have the best and wildest imaginations. They are ready to accept things that adults find “impossible.” They understand that alternate universes exist and that there are things that don’t appear in normal everyday life that could exist. The possibilities are endless when you are a child and you don’t have the boundaries that adults have. My children actually helped create Dragon Boy’s story because they helped me imagine different scenarios. When I had doubts about certain ideas, they gave me their opinions which were amazing. J.K. Rowling is definitely my favorite author. But I am also very impressed by Cressida Cowel who wrote “How to Train Your Dragon.” She has been writing since she was a child. I realized that nothing stopped her from tapping her vast imagination and then putting it on paper and making it turn into reality! That really inspired me. I realized that it doesn’t matter where you are, what age you are, or who will like it or not, you can follow your muse, your imagination. Dragon Boy and the Witches of Galza is the first book in a series. How many more books are in the series? As of today, I have written the first two of the series. There will be a third, perhaps more. It all depends on the story. I don’t want it to become boring, so when the time is right, the series will end. Please tell us more about the series. 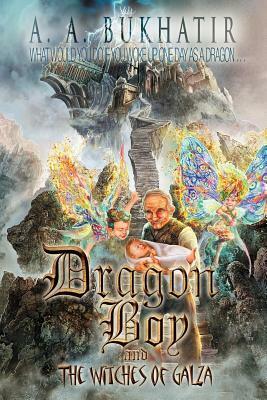 Dragon Boy is the wonderful and mysterious story of a boy who lives in a village of humans oblivious to that fact that he is in reality a dragon. He has been entrusted to an old man who was trapped in a forest and could only find the way out by making a bargain with the Witches of Galza who have put a spell on the forest. Encountering dragons, monsters, fairies and witches, it’s a world full of suspense and enchantment that puts the reader on the edge of their seat. Although Dragon Boy grows up in the human village and discovers its secrets and what lies beneath, he confronts Evil and wants to help Good. Not being able to accept himself for what really he is, he must hunt for his origins, and enter the world of an enchanted forest, wizards, witches, fairies, dragons and demon centaurs. What insight can you share with us about Dragon Boy himself? I had to imagine what a boy would go through as a child and a teenager. I created him coming from a supernatural world filled with monsters and evil people. Then I placed him in a world full of normal humans who lived their lives like regular people – loving, caring, hating and fighting. Are any of the characters based on you? There is no character that is based exactly on me, but I think every character takes some of my traits or ethics. Which are your favorite characters? My favorite characters in the first book are the Sister Witches of Galza. I love the way they think and act. They’re so bad that their reputation precedes them. And when you get to know them in the story, they’re the villains you love to hate but with respect. What do you wish to achieve from this book? I would love to create the vast universe of Dragon Boy and the characters in it, allowing my fans to appreciate him and the story. I hope they will explore the bright and dark sides of my books. Did you face any challenges writing this book? If so, what were they? Of course! Every work that is beautifully done should have many obstacles and challenges. And this one had its share of challenges. Keeping track of all the fantastical creatures and making sure that all the pieces of the story make sense were two of challenges. And there’s always the fine line between the believable and the unbelievable. I want the reader to be able to identify with the characters and if they are too strange, then it won’t work. A.A. Bukhatir, a multi-talented performer, author, and businessman, was born in Sharjah, United Arab Emirates in 1975. He studied music as a child, began to sing professionally at the age of twenty, and has since released eight albums, recording songs in English, French, and Arabic. His live performances have attracted large audiences, such as at the Global Peace and Unity 2006 event in England that was attended by 35,000 people. A graduate of Al Ain University of Science and Technology, Bukhatir became the CEO of the public relations company Promax ME when he was only 29 years old. Under his stewardship the company won the 2005 Marketing Effectiveness Award for the best public relations agency in the Middle East. Bukhatir has also served as chair of the Mcfadden Group of Companies and was a member of the board of directors of the Bukhatir Group. In addition, he was a senator on the Sharjah Council, which deals with public policy as well as economic and social issues . Currently Bukhatir is the founder of a mobile game development company. He is also deeply involved in projects to end childhood hunger worldwide. 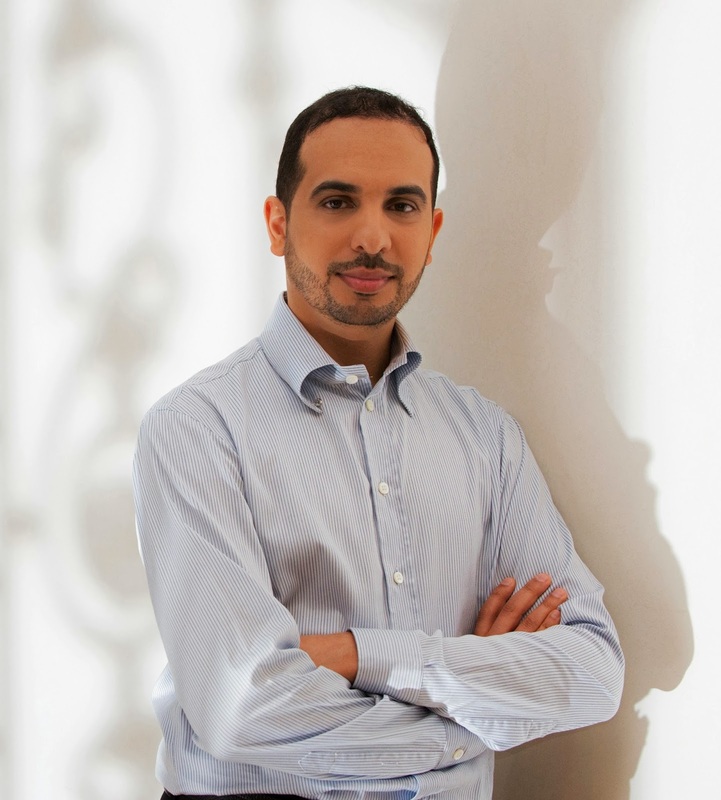 Heavily influenced by J.K. Rowling’s Harry Potter books, A.A. Bukhatir began focusing his creative efforts on writing novels several years ago. DRAGON BOY AND THE WITCHES OF GALZA is the first in a planned series of books about the adventures of a boy who is part dragon, part human. To be entered to win a print copy of Dragon Boy and the Witches of Galza by A.A. Bukhatir please use the rafflecopter form below. OPEN to US, Canada, and UK residents only. Use the rafflecopter form below to enter. Winner will have 48 hours to claim the prize. No cheating. No using multiple names. You must complete each entry otherwise it will not count. There is one (1) mandatory entry but all others will increase your chances to win. I would love to be a dragon or a vampire. Or maybe even a werewolf. Really, any of them would be cool! Vampire. I already like being awake at night and I would love not ever aging! I want to be a firebird/phoenix. I'd love to be a fairy. Most likely, a unicorn or mermaid. Hello and welcome to my Young Adult (and now NA & Adult) book blog, Bittersweet Enchantment. There is a lot to look at here - reviews, giveaways, meme's, authors events, and so much more! I hope YOU enjoy your stay and if you like what you see here then before you leave please follow my updates. Thanks! Looking to enter some book giveaways?There are currently [ 3 ] open. Updated 9/9/17Click below or use the link above labeled:"Current Giveaways". If you are an author, editor, publisher, or publicist that would like a book reviewed on my site pleaseRequest a Review. Want to work at a fun and professional book blog? Love reading? Enjoy reviewing books? Jobs are OPEN now! For more info and to apply please check THIS link. Beckie @ Bittersweet Enchantment. Powered by Blogger. Unbreakable by Kami Garcia: Promo + Giveaway! ARC Review: Once We Were by Kat Zhang + Giveaway! Tackle Your TBR Read-a-thon: Goals & Updates! Are you a Book Addict? Take the quiz and find out! Blog Tour - Hero High: Figure in the Flames by Mina Chara | Guest Post & Giveaway! Blog Tour: Amity by Micol Ostow | Guest Post + Giveaway: win a SIGNED print copy of AMITY! Beckie has read 7 books toward her goal of 100 books.